Eat, drink and feel famous at Planet Hollywood London, a themed and unique dining experience inspired by the glamour of Hollywood with movie memorabilia on display throughout the restaurant. 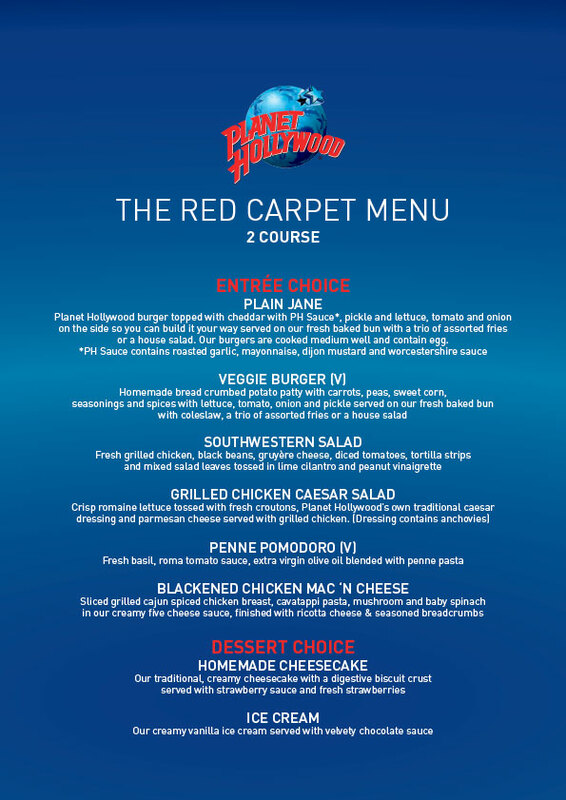 Book your table at Planet Hollywood and be prepared to be treated like a movie star! Book your menues at Planet Hollywood London here with us and save 15% on your meal. Enjoy a two-course meal from a set menu featuring classic Planet Hollywood dishes including burgers, pastas and homemade cheesecake. The unique theming includes over 85 items of iconic movie memorabilia and props displayed throughout the restaurant and 18 screens feature up-to-the-minute film trailers and music videos, keeping it fresh and interesting for restaurant guests. Enjoy a lovely two-course menu. Choose your own main and dessert from The Red Carpet Menu. Click here to see The Red Carpet Menu. Let the kids choose their main and dessert among popular child favorites from the special Kids' Menu as well as enjoying unlimited sodas. For children age 12 and under. 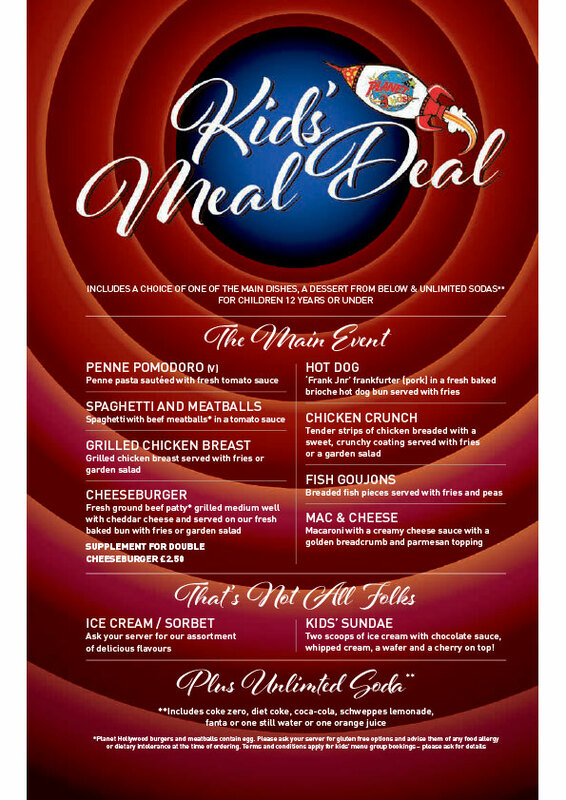 Click here to see the Kids' Menu Deal. Shortly after your booking is complete your e-ticket will be sent directly to your email, just print it out and bring it to Planet Hollywood London.